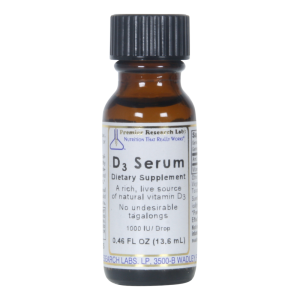 Products Related to D3 Serum | Vitamin D Drops, 0.5 fl. oz. Liquid Vitamin A Palmitate, 30ml 1 fl. oz. Ionic Boron (6mg), 2 fl. oz. Vitamin D3 supports multiple organ systems, including healthy bones, nerves, heart, brain, lungs, esophagus, breasts, colon, stomach, pancreas, prostate, uterus, ovaries, and the kidneys. D3 helps to prevent and treat type 1 and type 2 Diabetes. Research shows that D3 may protect against 70% of all cancers, and builds the immune system. Daily D3 intake should be 1,000-10,000 IU daily for adults and 100-200 IU daily for children. D3 up-regulates all 200 anti-infective compounds that the body's immune system makes, and be a primary protector against all types of flues, viral infections, and bacterial infections, giving far superior immune protection from all the flu's than any vaccination. Of course all the studies on the vaccinations show minimal effectiveness. Vaccines are 0-4% effective and have many deadly side-effects, so comparing vitamin D3's tremendous up-regulation of the immune system is not really saying much. It is better to say that vitamin D3 is a powerful immune activator. Our modern lifestyle leaves many of us deficient in this absolutely crucial nutrient. A blood serum of 50-70 mg/ml is recommended as a good level. Newer research has found that D3 works synergistically with vitamins A and K. Many of us spend the majority of our days indoors and are unaware that it can take 24-48 hours for vitamin D3 to be absorbed into the body after being in the sunshine, which results in much of the D3 that our bodies created being washed off in the shower before it enters our system. Vitamin D3 needs to be on your list of crucial nutrients if you are interested in vibrant health, superior immunity, and longevity. Those living above the line from San Francisco, CA to Baltimore, MD need to take it regularly and in higher doses. Twenty minutes in the sun will produce 20,000 units per day. Vitamin D3 is primarily a chi building energy. Okay, so vitamin D. Vitamin E. Vitamin K. What's the other one? A. A, right. These are fat soluble, and they actually work together as a team. How much is of the team? Literally, they all affect certain gene patterns, the same gene pattern. They're all working and affecting it. That's how much of a team they are. D is getting a lot of press these days. Vitamin D is a tremendous immune stimulator, and moderator. In the immune systems it's vitamin D receptors are just all over the immune system. Some people estimate if we have adequate vitamin D, 70%, it helps protect against 70% of cancer. Of all types. That's a pretty good immune statement right there, isn't it? 70%? I would say that's pretty good. It also helps with mental functioning. It helps protect against senility. It helps with bone. But not as directly, see, without K, Vitamin E brings in it but it will deposit calcium anywhere. One of the worst places is they, it deposits calcium in the arteries, right? K says, "No." K directs where the calcium for D goes. It brings it into the bones. In other words, you need K to direct, the best K is MK7, we do carry it, and it's really, what? No, and doctors do exactly the opposite when you have like a, when your blood is, they tell you not to take any formulas, not eat any lettuce, and and you're saying it's the opposite 'cause then there's gonna be more calcium deposits. Right. K directs D. The calcium. You mentioned MK7? That was the name? MK7, it's a British spy agency, right? Yeah, exactly. MK7 is the specific form of vitamin K that's the most potent and the most active. And we do carry it and it is in a capsule. Okay. K2 you get from the more vegetable, you know, just eating vegetables. But it doesn't, it helps more with clotting, anti-clotting, you know, or it acts as a coagulant. But we're talking MK7, which is really about directing the calcium. Vitamin D is important in the regulating the secretion of insulin. Low D has been associated with Type I and Type II Diabetes. So with the diabetes we really make an effort to make sure people get adequate vitamin D.
It also has a hormone, calcitonin, and what that does is it kind of regulates a kind of growth, and it also, the balance of calcium and phosphorous in the system. So that's just again, another thing that happens with it. D seems to be very important in protecting against neurological disorders. The most famous of that is multiple sclerosis, which is something that tends to happen more in colder, less sunny climates. Sun is the main way of getting vitamin D, right? But we have a lot of sun in here, Yeah, well, there's reasons for that. But just hold on, you know. I want to get back to, vitamin D is made by the sun. If you get 20 minutes a day of sunlight for three days, you're gonna start taking in about 20,000 units a day. Then what is really happening when you ask that question, is maybe people aren't getting so much sunlight. Maybe we're too much inside playing with our computers. But here's where we go to protocol. The best levels are between 50 and 70, in the blood. To really see how you're doing, you really need to check it a few times. Now there is a question of how much should you have? 400 milligrams, 10,000 units, and I think it's variable. Myself, I had been taking 10,000, and I was in low-normal vitamin D. Well, I don't want to be low-normal. I want to be optimal. So now I'm taking more. Now that's more than they recommend, now what's the point? I'm out in the sun. I get 20 minutes of full body sun all the time, I live in Arizona. So what's happening is there's a very big variation, and the only way to do it correctly is get your sunlight, take your certain amount of vitamin D, and get a blood test. Trial and error, trial and error until you find-- Until you find the right level. It takes about three blood tests to figure it out. The other thing is, people with darker skin absorb less vitamin D. So if you're Afro-American you will be getting less vitamin D from the sun as a protective device, but, and that's so good, so they actually need to supplement more. And I think you want to look at Israel, you have more dark-skinned people, they're more likely to have a lower vitamin D because of the genetic part of that. So that's part of the answer too. Computers and darker skin. What I was saying is 20 minutes a day should be sufficient. For myself, I get 20 minutes, I'm out in the sun without much clothes, or in clothes, 20 minutes, and I take vitamin D supplement, and my vitamin D was low-normal. So what I'm trying to say, there's that little bit of trial and error. So the protocol is, get a standard, take 10,000 and do what you're doing, and then measure it and see where you stand. Oh, it's too low, it's too high, well fine. It's too high, I take less. If it's too high what can happen? Well, if you're, you can get a calcification in your tissues. Excess calcification. And you can get a little, I don't want to say vitamin D toxicity, but 10,000 is a safe place. People basically, somewhere between 2,000 and 10,000 is pretty safe, where you should be doing your experimenting. Question: All my life my mother is telling me to keep away from the sun in the hottest hour or whatever, and less than a year ago somebody said that the only way you can absorb the vitamin D is if the sun is perpendicular to the ground, which is a bad hour? No, I don't think it's like that. If you just get out, obviously the more when the sun's hot the better, you know, if you live, in US they say between San Francisco and Baltimore, which is kind of the lower part of the United States in a way, above that line everybody should take a vitamin D supplement. What's the point? You've gotta be out in the sun, when you're northern, if you're up near Lebanon it's gonna be not as much sun quality as down here. But still, you know, between 10 and 2 is reasonably good. But the truth is, it's kinda, you have to do trial and error, really. And the only way you're gonna get accurate is do a blood spot-test. You can just take a, we have at the Tree, you just prick your finger and you do the blood spots and then they... Like a litmus paper or something like that? No, it's paper, and you have to send it in. Or they can draw your blood but it's more expensive to do it that way. The vitamin D, it's just vitamin D, the drops, or - vitamin K? - - Yeah. No, just D. The D and K don't really come together. So where do we get MK7? We carry it. And you just need one capsule a day. And that's gonna get you depositing the calcium in your bones, not in your tissues or in your heart. That's not what you want. Yeah. Question: If you could speak more about the dosage because I don't think people are familiar with the dosage here. 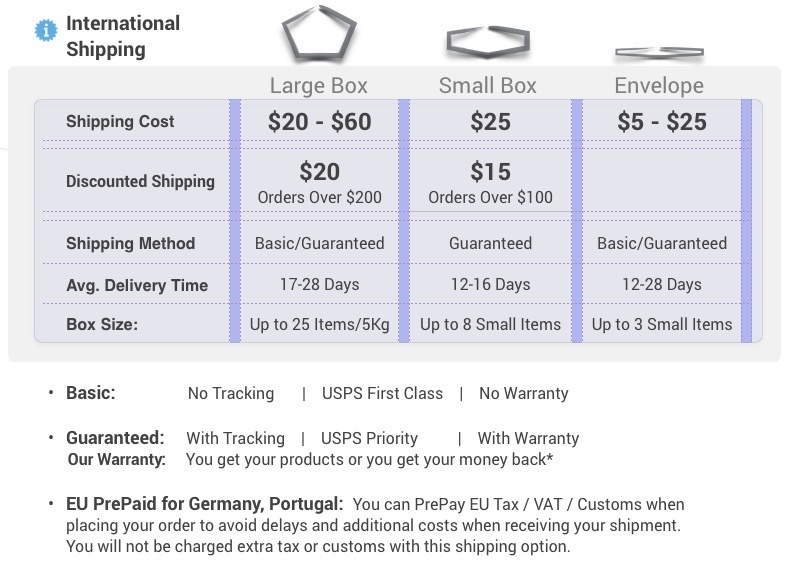 In Israel you have the drop, which is 400 units, 200. 200 to 400. Most people they don't take it all, or they take maybe two drops which are 800, and there is a law in Israel now, they took off the shelves the one with 1,000. Now there is only 400. It is not allowed to take, Yeah. That was on the shelf, the 1000. They're not allowed on the shelf. Okay, and so they're very, the people that they take vitamin D, maximum, with doctor order, 2,000 to 2,500. Maybe and you're talking about 10,000. It's being totally safe. According to the research. It's not revolutionary, it's, the world research says mostly people to take 10,000 it's gonna be totally safe. Again, the only way you're gonna know is what? Blood test. Get the blood test. Then you'll know where you stand. The high-normal is 50 to 70. You need to be 50 to 70 to get optimal effect. That's it. Now, is there a philosophical point to this? Yeah, there is. Wait a minute, please. Here's the thing I want you to understand. If you're getting really adequate D what does that mean? Means you're gonna have a great immune system. It means you're gonna be really healthy. It means you're not gonna, you know your chance of getting cancer is greatly cut down. Your chance of getting diabetes is greatly cut down. You're gonna have less colds and flus. You're actually gonna be healthy. So they don't want that. I just left it with that. So they're always trying to find the minimum for what? Hypothetical minimum. And we know, the research is very clear. 50 to 70 is what you need. And what, that's it, it's not that complicated. So whether you need 15,000, or 10,000 or 5,000 or 1,000, that is what you have to figure out. Now, one of the things you look at is, if people used vitamin D, you wouldn't need, you don't need vaccinations anyway, but 0 to 4% of vaccinations work. And some of that research was done in Israel, believe it or not. You know, for the flu, it's 0 to 4% effective. Well, I can tell you, the vitamin D is a whole lot more effective than that, and a whole lot more safe. So you gotta understand what is really happening in the world today. There is an explicit movement against anything that's Why, you know, you take vitamin D. There's no, you shouldn't even think about taking vaccinations. Do you see what I'm trying to say? So there is definitely a struggle going on, and it's one about those who want health, culture of life, and those who want you to be in ill health so you can have to buy their medicines. That's really what's going on without a lot of management. Now you had a question. Take 1 drop daily with a meal. Daily D3 intake should be 1,000-10,000 IU daily for adults and 100-200 IU daily for children. Not intended for infants. Keep out of reach of children.